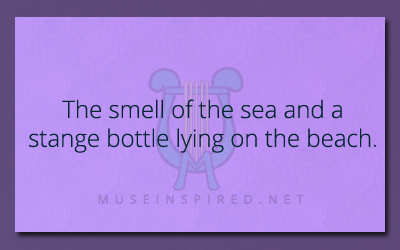 Beach Bottle - The smell of the sea and a strange bottle. What's the story? What’s the Story – The smell of the sea and a strange bottle on the beach. The small of the sea and a strange bottle on the beach. What’s the story? What's the Story - Finding an old Valentine's Day card from childhood.